My first use of Modern Spearhead was for wargaming engagements of the Arab-Israeli Wars. Indeed, I have had an interest in these conflicts for many years. The wars provide both an interesting mix of equipment, ranging from old World War II vintage hardware, through to modern hardware supplied by the West and the Soviets and their allies. However, for many years my Arab and Israeli miniatures collection languished in storage. I had long been frustrated with earlier rule sets. These earlier rule sets either were focussed on low level engagements or too complex. However, on my discovery of Modern Spearhead the models were drawn out of storage and reformed for action. As I slowly reorganise my wargaming pages I have started to revisit the Arab-Israeli war information. 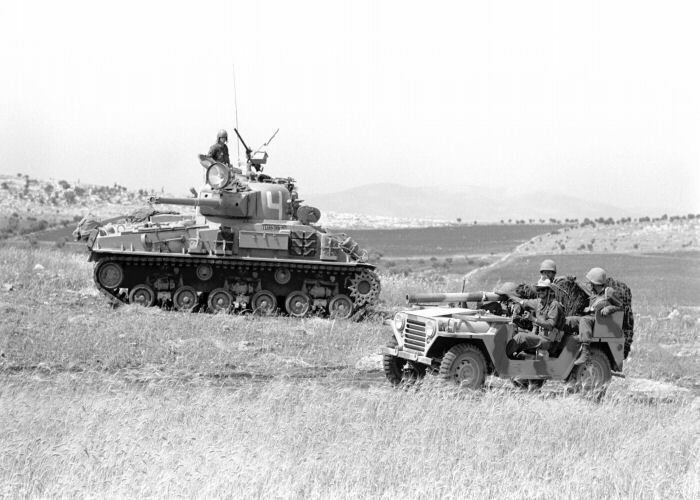 First up is a short article on wargaming the Arab-Israeli Wars and articles on the Jordanian, Syrian and Egyptian armies during the 1967 Six Day war. These articles can be found in the Arab-Isaeli Wars Section.